Imagine yourself relaxing next to a pool under the hot Egyptian sun, cool drink in hand, on the deck of a beautiful cruise ship - casually watching life on shore pass by, as we float from one amazing place to the next. Sounds good, doesn't it! 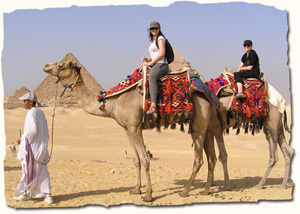 Egypt is a country that just has to be visited to be believed, and really is a must on any travelers list. The legacies left behind in the form of incredible temples, pyramids and artifacts created by the Pharaohs and other ancient peoples will leave you absolutely speechless, especially in places like Luxor, Aswan, Abu Simbel and Cairo. 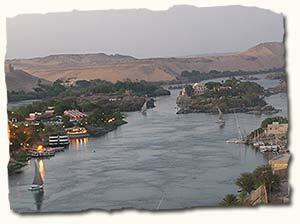 What better way to experience these treasures than on board a cruise ship on the Nile! 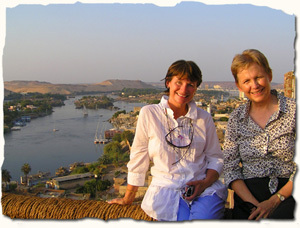 We begin our trip as "land-lubbers" in Cairo and Aswan, taking in the sights and mingling with the locals, before boarding our beautiful boat for a very "cruisey" holiday. 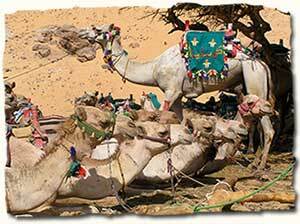 We finish the trip with an overnight jeep safari into the spectacular white desert of the Sahara, spending the night under a starry Arabian sky!. Cost: Egpyt only USD3950 Egypt/Sinai USD4700 - What's included? OPTIONAL EXTRA: Red Sea and Sinai - if you have some time AFTER this trip, how about joining us in the Sinai (part of Egypt), a beautiful, desert peninsula surrounded by the tropical waters of the Red Sea. We will spend a few days doing some lovely hikes in the desert wadis (valleys) near St Katherines village, go on safari to explore the desert with local Bedouins and learn about their culture, and relax in the seaside town of Dahab, where there is world-class snorkelling. This is a very special, authentic and personal trip! Just email us for more information and cost. Welcome to Africa's biggest city, with over 20 million inhabitants! 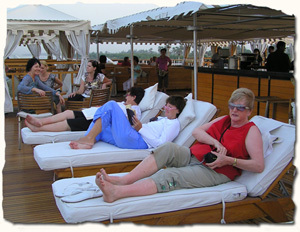 You will be met at Cairo airport and transferred to your hotel. Free afternoon to relax and get used to the heat or take a stroll and visit some of the sights nearby. Dinner at hotel. Cairo is an incredible city with so much to see and do, so we have a pretty full day today: our first stop today is Memphis and the cemetery of Saqqara, famous for deceased Pharaohs, generals and sacred animals. We visit the Step Pyramid and other interesting sights. 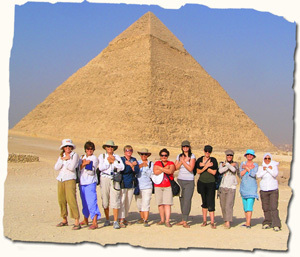 The afternoon takes us to the infamous Pyramids of Giza and the Sphinx, situated on the edge of the city. It is quite fantastic to actually be there in person and to try to imagine how these things were built. If you like, you can try out a camel ride here. There will also be some time for some relaxing shopping nearby - exotic perfumes and papyrus are just some of the wonderful things you can buy. Tonight we have dinner at an Arabesque restaurant to sample typical Egyptian food - after dinner a coffee reader will read your cup to see what your future holds . . . This morning we take in the amazing sights at the Egyptian Museum, a treasure-trove of Egyptian antiquities. We will have a delicious lunch to sustain us for the afternoon. Next we go to the Citadel, former home to Egypt's rulers. At the Citadel we visit a mosque and take in the grand views of Cairo. There might be time for a bit of shopping before we board our overnight train to Aswan, dinner on board. We arrive in Aswan and get taken to our hotel out on an island in the middle of the Nile, and then take a leisurely lunch on the Corniche, overlooking the Nile. The afternoon sun is very hot, so you have time out to swim or rest, until things cool off a little. In the evening we go to the Nubian Museum to learn about how the temples of Abu Simbel were rescued from being forever hidden under the waters of Lake Nasser, behind the High Dam. 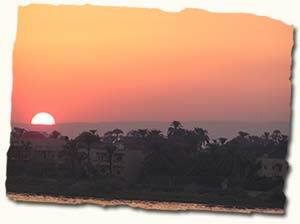 We have a wonderful sunset dinner from a vantage point overlooking the Nile. This morning we take a boat to a Nubian village. In former times Nubia was the land that lay between Aswan and Khartoum - Nubians are distinctively different to Arabic Egyptians, being tall and black. If you would like to ride a camel, you can hop off the boat and ride across the sand along the banks of the Nile to the village. After a look around this colourful village we have lunch in a Nubian home. If you like you can get a temporary henna tattoo from a local Nubian lady. Once again you have a free afternoon to avoid the heat of the day - swim, relax, or whatever you like! When in Aswan, a felucca trip is a must - and one of the best ways to enjoy the balmy Egyptian sunset is on a felucca, sailing on the Nile (optional). Tonight we get up very early to take the 3.30am convoy to the amazing Abu Simbel, a real highlight of the tour. We arrive back at the hotel from Abu Simbel around midday - thus you have a free day to do as you please. It is fun to go into town and visit the souq (market) full of all sorts of exotic goodies like spices, scarves, jewellery and much more. 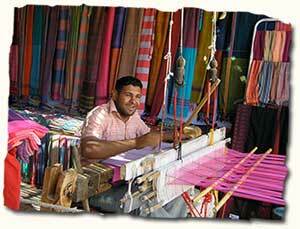 Even if you don't want to buy anything, the atmosphere is great, and you will also meet lots of locals here . Stop off in someone's shop and have a cup of tea and a chat! You can also take a horse and cart ride around town if you don't want to walk. Today we board our beautiful cruise ship after breakfast and check into our rooms. We visit some more local sights, like the High Dam, Unfinished Obelisk and Philae Temple and the Botanical Gardens. Lunch on board. If we are lucky there may be a belly-dancer on board to give us a lesson on how to swing those hips and get that belly moving! During the night we set sail for Kom Ombo. It is just bliss cruising along on the Nile, watching Egyptian life, as we sail past villages and fishermen and women washing clothes in the Nile. We visit the temple of Kom Ombo, or more precisely the Temple of Sobek, the crocodile God. Our local guide will give us an interesting explanation about the hieroglyphics and history. We continue sailing on to Edfu, where we visit the Temple of Horus, the falcon God, and the most completely preserved Egyptian temple. Dinner on board. Just when you might think you have seen enough temples and tombs to last you a lifetime, we visit the West Bank of the Nile in Luxor, and the infamous Valley of the Kings. 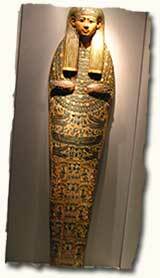 See where the Kings of Egypt were once mummified and laid to rest with all their treasures. Amazing. Lunch on board. 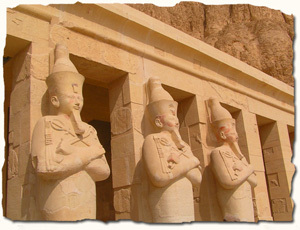 In the afternoon we visit the incredible temples of Karnak and Luxor. You will be gob-smacked by the huge columns at Karnak, and by the fascinating history of Luxor temple, having been home to both Muslims and Christians. In the evening it is highly recommended to visit the Mummification Museum (optional), where you will see not only mummified humans, but also cats, crocodiles, monkeys and other animals, and learn about the fascinating mummification process. Disembarkation after breakfast and morning flight to Cairo. We spend the afternoon at Khan el Khalili Bazaar, shopping for exotic treasures, soaking in the atmosphere, the spicey smells and the unusual sights. Time for a coffee/karkade/tea in a café to do some people-watching. Free time for your own exploration in downtown Cairo - visit the famous old Café Riche, explore the shops and enjoy some free time. Afternoon transfer to the airport to fly to Sharm el Sheikh where we will be picked up and driven to our hotel in Dahab. Dinner by the sea. • visit and see how the Jebaliya tribe traditionally maintained vegetable gardens in the middle of the desert, stay in a desert eco-lodge, go for a walk in the surrounding area with a local Bedouin guide to see old "Flintstone-like" Bedouin cave houses, the Rock of Love etc. Your incredible trip is over! We hope you have learnt a lot about the amazing old desert culture of the Bedouins...it has been a very special trip indeed! 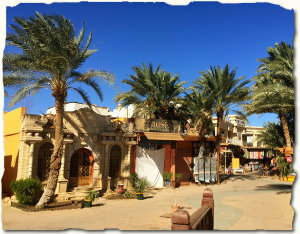 19th November - 8th December 2020, 11 or 20, Cost: Egpyt only USD3950 Egypt/Sinai USD4700 - What's included? "The best way to see Egypt in the heat!"